Before the first snowfall of winter arrives, it’s time to pack up your RV until the warmer season. Right? While sure, that’s what many RV owners decide to do, not all drivers will. Some live in environments where wintry climes are the norm, so they take their vehicles out despite the weather. Others may want to save some money. After all, for each month your vehicle is left in storage, you’re paying for it. You may also have to spend money on maintenance in the springtime. As you can imagine, though, driving an RV in cold weather isn’t exactly as easy as it is in warmer temperatures. Why? Well, first of all, you can’t just choose any vehicle for the job. 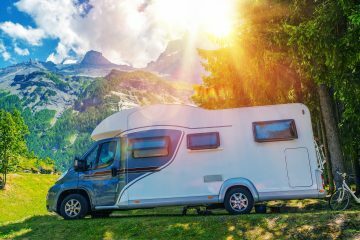 You’ll need an all-weather, four-season RV that can handle the sweltering temperatures of summer as well as the below-frozen tundra of winter. These RVs will come equipped with what’s known as an arctic package. This should include a sizeable furnace, heated basement compartments, floor and wall insulation, and dual pane windows for starters. Some manufacturers throw in additional perks, and sometimes others less. That’s why it pays to do your homework if you’re looking for a four-season RV with an arctic package. These aren’t all made the same. If you don’t spend time on research before you buy, you could blow your money on an RV that isn’t properly insulated. Don’t want to shiver this winter? Check out these seven tips and tricks before buying your arctic package. If you’re looking for a leather couch for your living room, you don’t just make your decision on eyesight alone, do you? No, of course not. You search online and in stores. You read information about what the couch is made of. You go to the store and actually sit on the couch so you can check that it’s not cheap pleather and super uncomfortable. Why should your RV be any different? Like that leather couch, your RV is an investment. Don’t go in blind and trust that just because a manufacturer says an RV is four-seasons that it necessarily is. This often means shopping in-person and inspecting the vehicle inside and out (which I’ll also discuss later). Want to know a quick, handy way to tell if your RV is truly four-seasons or not? Take a look at the pipes. If these are fully enclosed within the body of the vehicle, then you know you have yourself a four-season vehicle. If the pipes aren’t enclosed or are only partially enclosed, keep looking. You’ll end up freezing in the wintertime. You probably take the insulation in your home for granted because you can’t see it. It’s installed within the walls and sometimes beneath the floorboards, but it’s there. Make sure your RV is adequately insulated as well. Yes, this means the floors, walls, and even the ceiling, but go beyond that. There should be insulation around the tank warmers and the holding tanks in the vehicle. What if you find out there’s not? Again, move on to a different manufacturer. These tanks are going to be exposed to the cold quite a bit. If they’re not insulated, they stand a greater chance of freezing. That could be a big headache for you. Imagine being stuck in your RV with no means of getting it warm. Yeah…it’s that bad. You’d want to turn tail and go home. Some beginners might be deterred and never want to drive an RV again. If you can’t see the tank warmers and holding pipes, be sure to ask a representative at the store you’re shopping at or even directly contact the manufacturer. Again, this is not something you want to gloss over. All insulation has what’s called an R-Value. This is a numbers-based value of the level of thermal resistance the insulation has. In other words, this is the amount of heat flow your RV is going to get. The R-value can change by insulation layer, so multilayered insulation will have several R-values added together. The density, thickness, and type of insulation can push the R-value higher or lower. You’ll want it to be higher, especially for winter driving. As you browse around for RVs, be sure to ask the salesperson or the manufacturer about the R-value for each vehicle you check out. Fiberglass campers, although they’re known for their sleek appearance, don’t generally have a great R-value. RVs with aluminum siding and stick-built construction do, though, as does stainless steel. Before, I mentioned how an arctic package has various features from one manufacturer to another. In the case of some less reputable manufacturers, they may suggest the arctic package in lieu of reliable insulation…and sometimes any insulation at all. You already know by now just reading this post about how necessary insulation is in your RV, especially during the colder months or in chilly environments. You do not want to find out too late that your vehicle is not properly insulated. I may sound like a broken record here, but really…do your homework. Research the manufacturer in-depth. Read through their website. 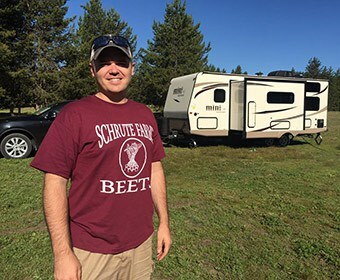 Check out the reviews of other people who bought the same model of RV you’re considering. 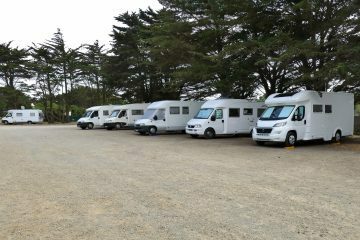 Get online or on the phone and reach out to other motorhome enthusiasts. 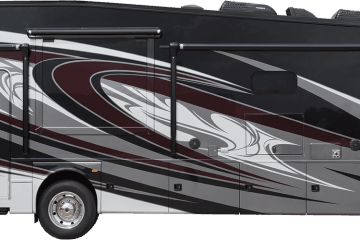 Get their opinions on the best RV manufacturers and artic packages. Test the RV for yourself in-person. Come with a laundry list of questions you can ask. Jot down the answers and then mull everything over for a few days. Make a slow, educated decision and you shouldn’t have to sacrifice comfort and warmth for cold-weather driving. You could have every inch of your RV insulated, but if the underbelly is even partly exposed and cold air can get in, you’re going to freeze. For a while, you might not know why. After all, who thinks to get under the RV and check for issues? You can and should. A sealed underbelly should be part of your arctic package. This keeps cold air from getting into the vehicle. You’ll also notice less road noise, which is a nice perk. So yes, you might look a little foolish getting under the RV in a store and inspecting its underbelly, but trust me, you’ll definitely be glad you did! Okay, so what if you realized too late that your RV should have a sealed underbelly? What if you went outside and checked your own vehicle only to find that the underbelly could use some patching up? You’re not totally out of options. You can always buy underbelly material. Make sure this is waterproof so it doesn’t get ruined in wet conditions. It should be woven too so it can stretch to accommodate your vehicle. You can adhere your underbelly material with underbelly seam tape. 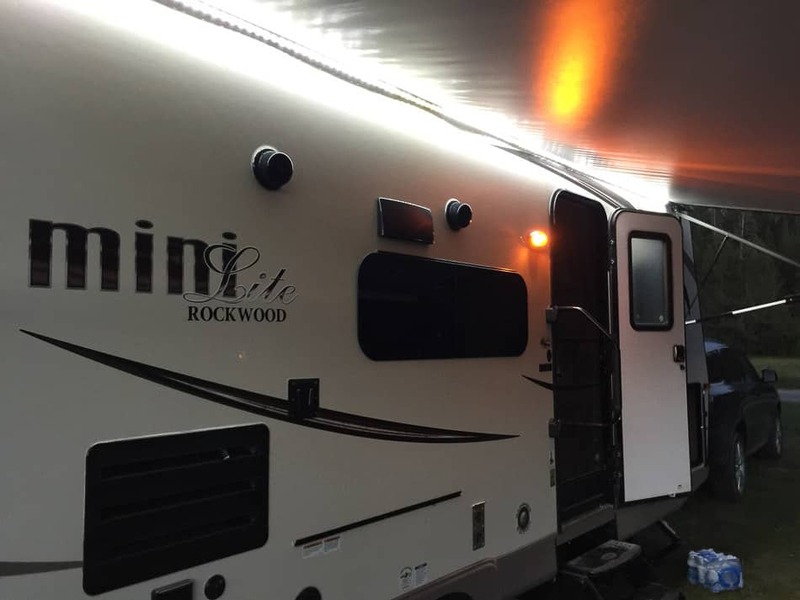 Get into the habit of looking at the underbelly of your RV every few months or so to make sure the material is still intact. 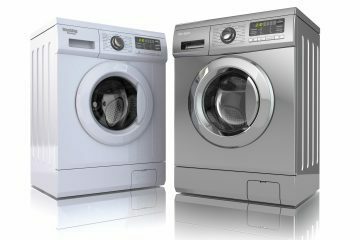 If you shop from a reputable manufacturer (like the ones I mentioned above), then hopefully, you’ll never have to think twice about your warranty. Starcraft’s arctic package includes a limited warranty good for 24 months, for instance. That said, when buying your arctic package or any RV part or accessory, it’s always better to be safe than sorry. Your warranty should protect your vehicle if part of your arctic package fails. 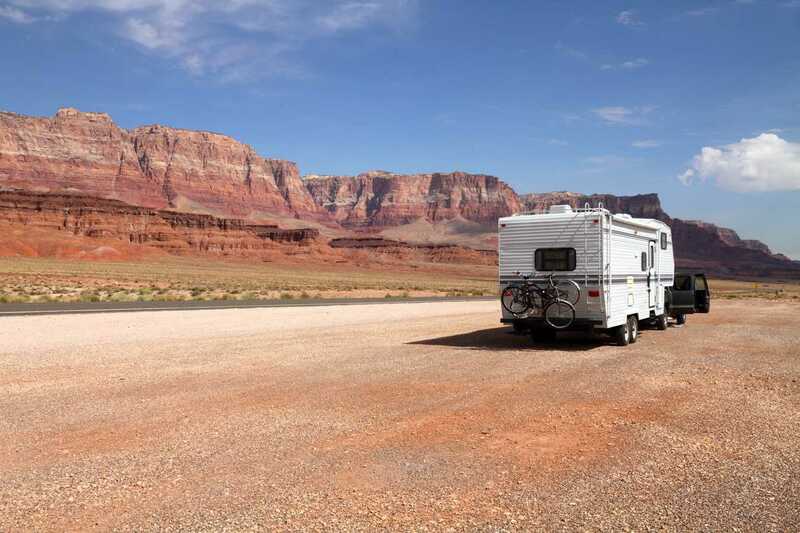 You should also have a general warranty that covers your RV in case you have plumbing trouble, mechanical failure, axel breakage, or a blown tire. Do keep in mind that the above events are somewhat more likely to happen with prolonged exposure to the cold. Repairing plumbing or broken mechanical parts can be expensive. Save yourself the money (and the trouble) and get a warranty. Is it still possible to be cold if you shopped for your RV from a trustworthy brand, checked that the vehicle was insulated, and got an arctic package? It’s not likely, but it’s within the realm of possibility (even if that is a far-off realm). Dehumidifiers, which prevent humidity and moisture from getting in the RV. But wait, you’re probably saying. Wouldn’t you want humidity to provide warmth to your vehicle? Not exactly. In this instance, the liquid from humidity or moisture can lead to cupboard and window freezing after the liquid condenses. If that’s left unchecked, you can expect mildew and mold to form sooner than later. An RV skirt, which is exactly as the name implies. This is material you wrap around the bottom half of your vehicle (including the wheels) to protect the undercarriage when you’re not driving. Don’t leave for an RV trip in the winter without one of these. This is also a good time to check your vehicle’s underbelly and make sure it’s secured. Electric space heaters, which will warm up any room in a jiffy. These can make up for poorly-insulated spaces, keeping all riders comfortable. Make sure the heaters are electric instead of propane. Moisture spills out each time you run a propane heater, which contributes to the mildew and mold problem mentioned above. Whether you want to go against the norm and take your RV out this winter or you live in an environment where the weather is consistently cold, an arctic package makes long, wintry trips possible. These packages consist of different features, such as wall and floor insulation, heated storage bays, enclosed underbellies, sewage and fresh water tank heating pads, double-paned windows, and more. Of course, an artic package can vary from manufacturer to manufacturer, so certainly take your time shopping and pick one that fits your winter driving needs. 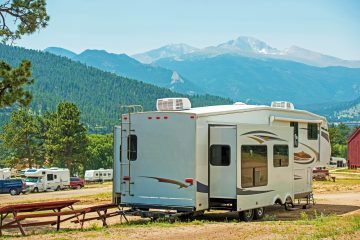 By following the seven tips and tricks above, you ensure your RV is decked out from roof to floor with insulation and other means of blocking out the cold. If you’ve always wanted to experience the wonder of wintertime camping, now’s the perfect time to start planning your trip. After all, it’s almost November, and the freezing temperatures and even snow will be here before you know it. Now that you know you can hit the road in these climes, you’re ready for wherever your wintry adventures take you! Thank you very much for this information, it was very helpful since I am beginner R.V. er. My wife and I was thinking about living in an R.V. trailer full time and traveling. We were wanting to trade in our Keystone for a Four Seasonal R.V. we have had our camper now for two years and we really enjoy going to the beach when we can get away. Once again thank you. I am sure other people will appreciate the information. Is Airstream inferior for cold weather, to the referenced RV manufacturers ? What is the RV value for floor walls and ceiling in an Arctic package? Great information! I’m considering buying an RV to live in year round in the NW. Now I have things to watch for. We’re buying a 2018 EVO mo# T2010 by Forest River w/Artic Package what’s your thoughts? Taking my 2019 Sunseeker MBD to Florida the end off February, returning mid March. Really don t want to winterize plumbing. I have an artic package. Can I keep the heat on low and get buy. We live in Michigan.